Wednesday, 18 January 2017 By Marchetto Pellami S.p.A.
Last December Apindustria Vicenza awarded Marchetto Pellami for the 20 years of membership in the trade association from Vicenza. It was the recognition of a fruitful and important collaboration and a mutual trust that comprises many areas of business activities, from internationalization to finance, to the legal sector and education with a strong emphasis on the innovation themes. 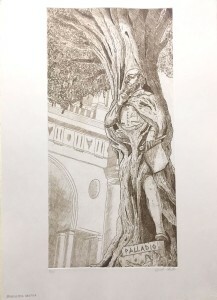 The gift was received by Agata, Valeria and Danilo Marchetto from the hands of Flavio Lorenzin. 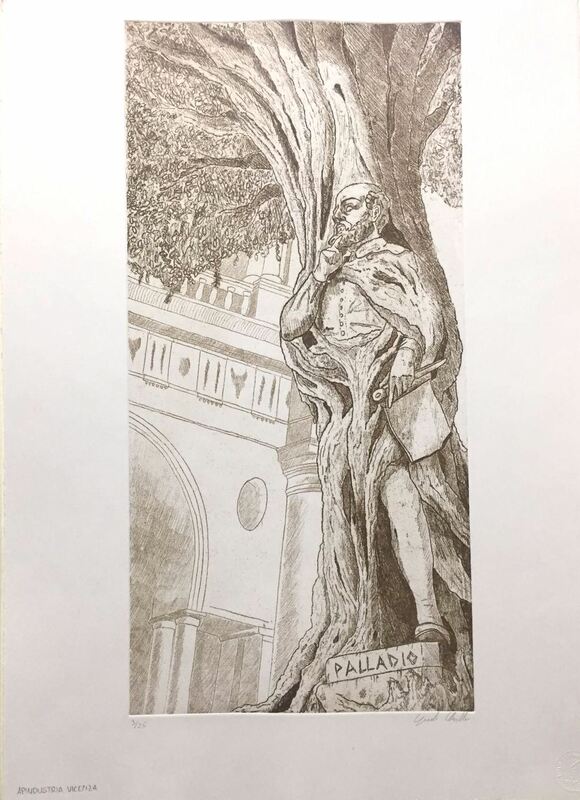 It is a handmade artwork by Gabriele Chemello, a soft-ground etching depicting Palladio with behind his back a tree and a glimpse of the Basilica Palladiana. A piece of art celebrating the architect who have been able to learn from the infinite precision of nature and through whom the City of Vicenza have its singular beauty, which is supported, expanded and protected by an entrepreneurship that similarly to the natural element par excellence, grows, develops and gives fruit, and is inspired by those who dare to think out of the ordinary.